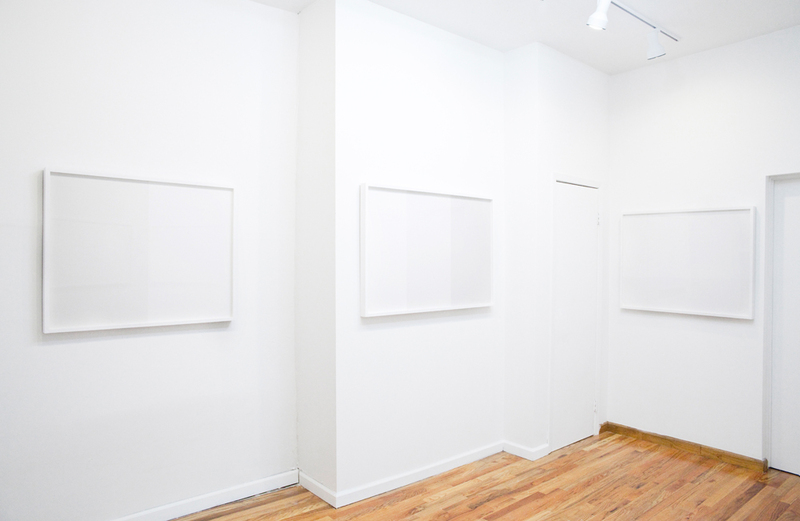 Jackie Klempay presents an exhibition of new work by Abdolreza Aminlari. 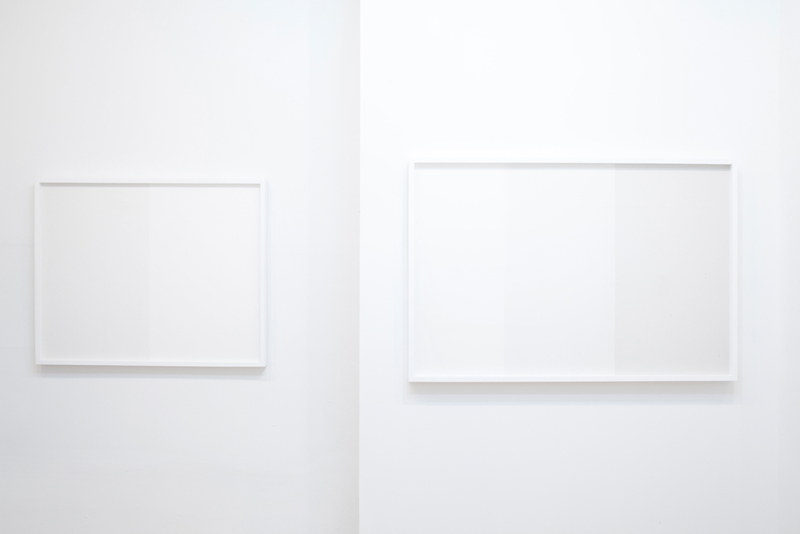 Using a minimalist approach to photography, Aminlari reduces space, object, and location to its essence. 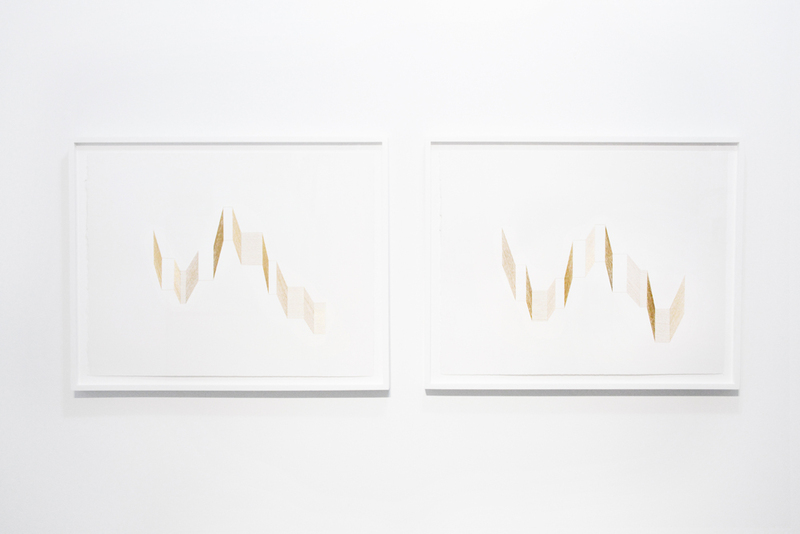 The modification of conventional views allows for deeper exploration of physical, as well as subconscious, territory. 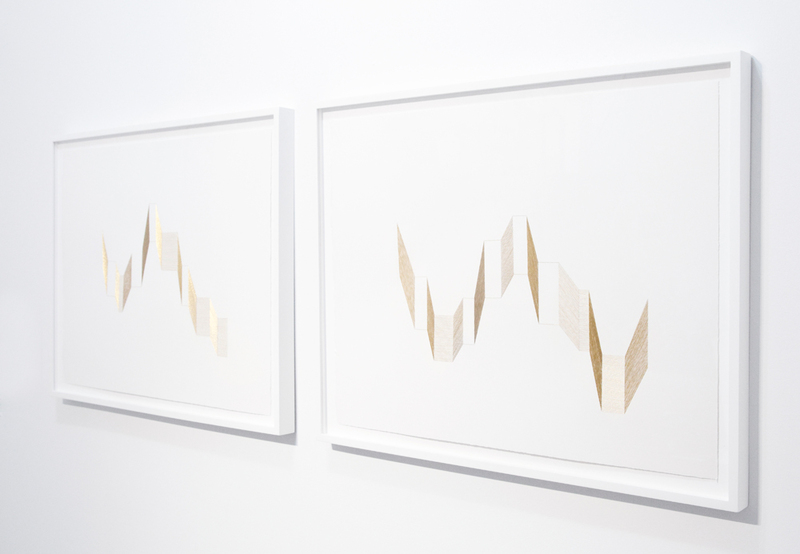 Walls and Landscapes, the two bodies of work displayed, both amplify shape and pattern by cropping out reference to the familiar and removing indicators of scale. 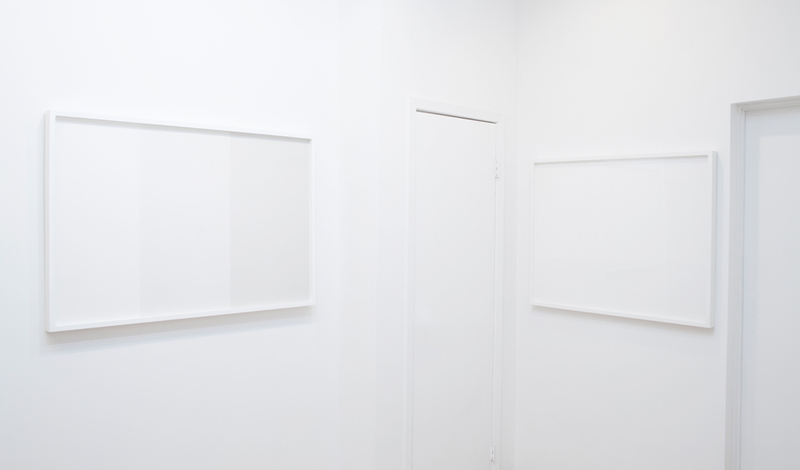 White walls shown at close range quietly make room for new meaning. 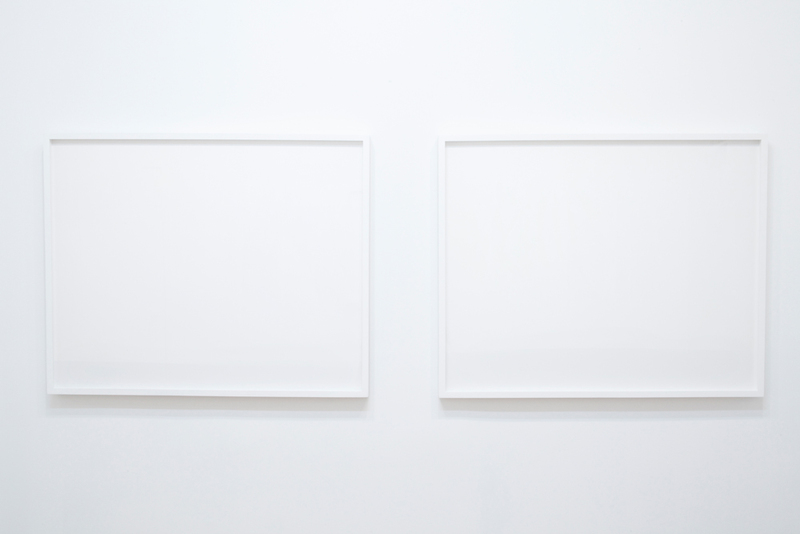 When flattened by the camera lens, the corners of a white structure are reduced to rectangular shapes. Aminlari’s color photography of snowy Icelandic landscapes on a foggy day results in a wash of whites. The land, horizon, and sky meld into dreamy, abstract forms free of color. 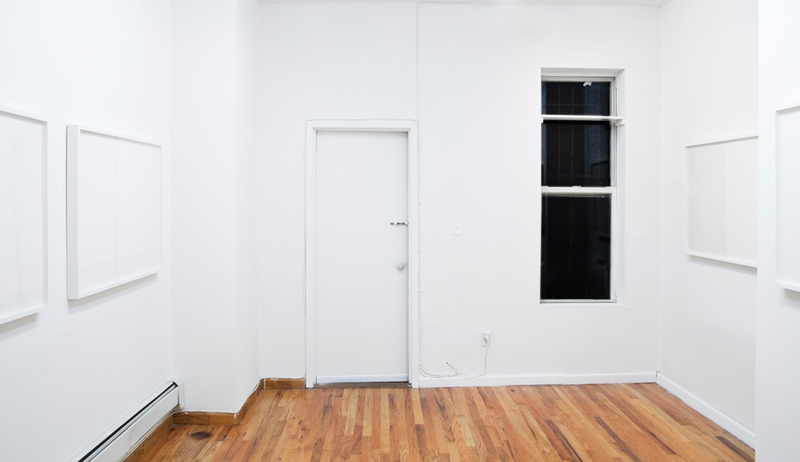 Abdolreza Aminlari, Walls and Landscapes, Installation view, Jackie Klempay Gallery, Brooklyn, NY, 2013. Installed post by Kalin Allen, artcore journal administrative assistant. 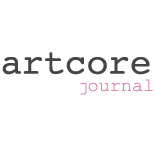 This entry was posted on September 27, 2013 by artcore journal in artcore (b)log and tagged Abdolreza Aminlari, Jackie Klempay.